The need to trust the process of life and the new processes & patterns initiated by you. Unsure of how to integrate the growth & new awareness that have awoken within you. That you want to fly freely; unencumbered by thoughts of false safety. A “Seize the day!” attitude that helps one to take the next step into the unknown and take a Leap of Faith. For more insight & information on the qualities & properties of Confidence Flower Essence, please see the full Product Description below. 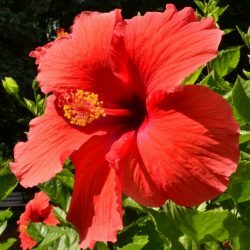 Contains: Infusion of Hibiscus rosa-sinensis anchored & preserved in spring water, organic cognac (or brandy) & organic vegetable glycerin. 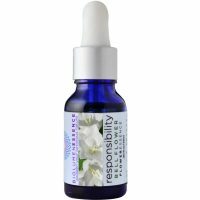 Taking 3-4 drops 3-4 times per day, either under the tongue, or in some water is a general guideline. You can apply them topically to your wrists, temples, chakras or any place where you feel that you are holding energy that you would like to shift. You can also put a few drops in a bath, body lotion, spray or essential oil diffuser to immerse yourself in the vibration of the essence. We believe in trusting your own guidance; if you feel like you need to use more one day and less the next, trust that. As you continue to work with the essences, you will become more receptive to what and how much you need to be using. 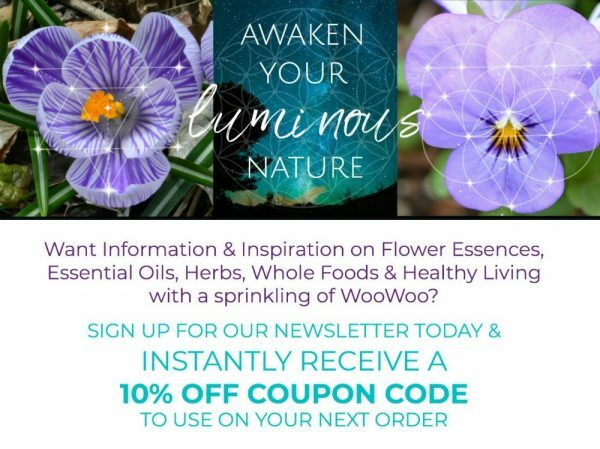 Instead of treating flower essences like your daily multivitamin and mindlessly ingesting them, cultivating more intention around the ritual of using these remedies will deepen your connection to the subtle energies, and ultimately your self. 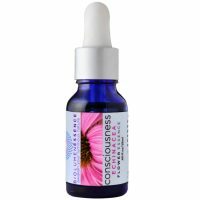 Before using the essence, I like to connect with the spirit of the plant ~ I do this while tapping the bottom of the bottle on my palm (usually about 5 times), which assists in awakening the matrix in which the essence is held. Water, in its natural state, is always in motion ~ shaking the bottle in this way activates both the aliveness of the water, and wakes up the sleeping plant deva inside (that is my experience anyway). Being intentional about your thoughts while in the presence of the essence (and water in general), is essential, as we have seen evidence from Dr. Masaru Emoto’s work the effect that thoughts have on the crystalline structure of water. Anointing sacred objects, like crystals, mala beads, wands, or any tools you may use in ceremony or a healing session is a powerful way to work with these essences. Use them in Nature, on the Earth & in the Waters. 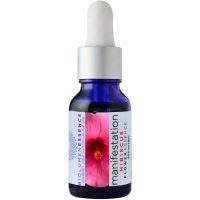 Work with them when you do Emotional Freedom Technique/EFT Tapping for profound shifts & growth. You can use up to 4 different essences in a protocol to address whatever it is you are working on & to get you to where you want to go in your own process, as long as the essences don’t contradict each other, and support each other in their function. I personally choose three – one for the Past, for what I need to clear up, release & let go of in order to move forward. One for the Present, for whatever it is that I am marinating in the midst of at that moment. And the final one for the Future, for where I am headed, what I would like to create for myself & the energies I’d like to invite into my experience. You could also choose them for Mind, Body & Spirit – like we have in our Oracle Reading, or whatever other parameters you choose. 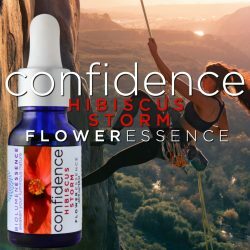 Flower Essences are subtle and powerful. 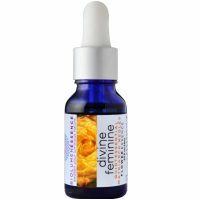 More isn’t always necessarily better, though we have noticed that consistency in taking the essence (or applying it topically) does make a difference. Giving the essence some time to integrate and work with your energy is essential. Sometimes shifts happen immediately, other times it could take a couple of weeks to notice that a shift has occurred. 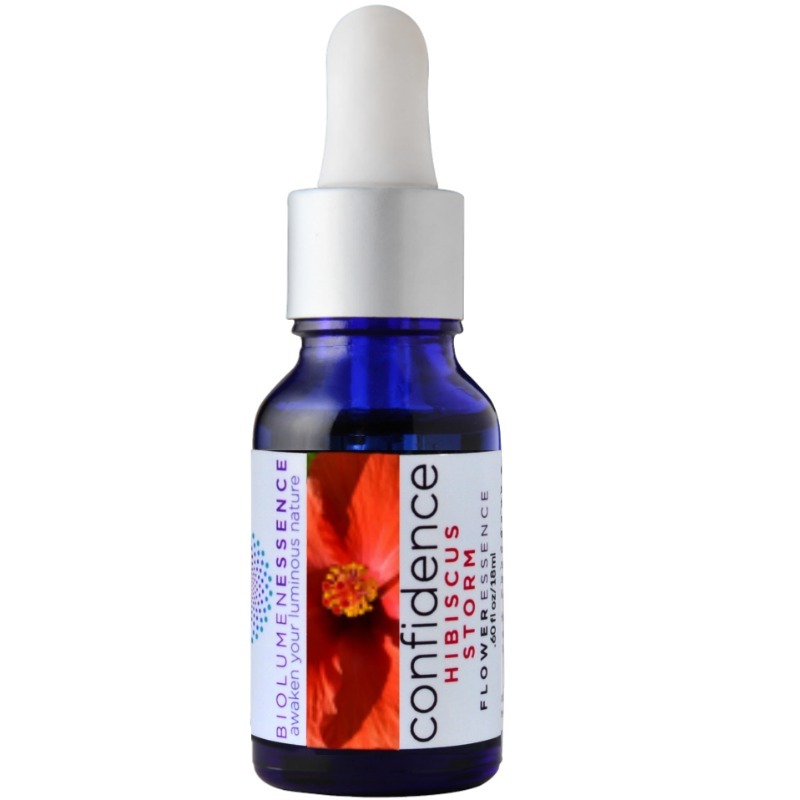 Be the first to review “CONFIDENCE ~ HIBISCUS STORM FLOWER ESSENCE” Click here to cancel reply.